Earlier this year, our fifth year, PHE invited the International Association of National Public Health Institutes (IANPHI), to carry out a peer review and this week we published their feedback. IANPHI is a membership organisation of over 100 national public health institutes and agencies, and they were asked to assess our progress in three key areas: leadership, strategy and delivery; whether we are set up effectively and efficiently and if we have the necessary impact and influence we need to fulfil our mission. We wanted this international benchmarking exercise to help guide our development across the full range of what we do as we mature in our role and look to the future. IANPHI have particularly recognised our transformation over our first 5 years from a “geographically and functionally siloed group of 129 bodies into a strong, capable, coordinated, united and efficient public health agency that rivals any in the world.” Inviting an external body to give a frank assessment has provided us with both food for thought and reason to celebrate. As ever, there is more to do but so much to be proud of too. On Wednesday, along with our chief nutritionist Alison Tedstone, I spoke at Food Matters Live, the premier annual event on food and drink, bringing together industry with retailers, food service providers, manufacturers and those working in nutrition science. Our focus was on progress against the Childhood Obesity Plan, particularly on sugar reduction. We have seen strong, innovative work, announcements and commitments from many companies, but of course the data will tell all when we publish our first progress report in March next year – the proof really is in the eating of the pudding. As we move into 2018, we will be moving onto overall calorie reduction, as well as publishing refreshed nutrient profile guidance which determines what can be advertised to children. A new Change4Life campaign focused on snacking will also be launched in the new year. Read more about the progress in Alison’s most recent blog. Powerful communications and effective marketing campaigns are instrumental in delivering Government policies and helping to encourage behaviour change. 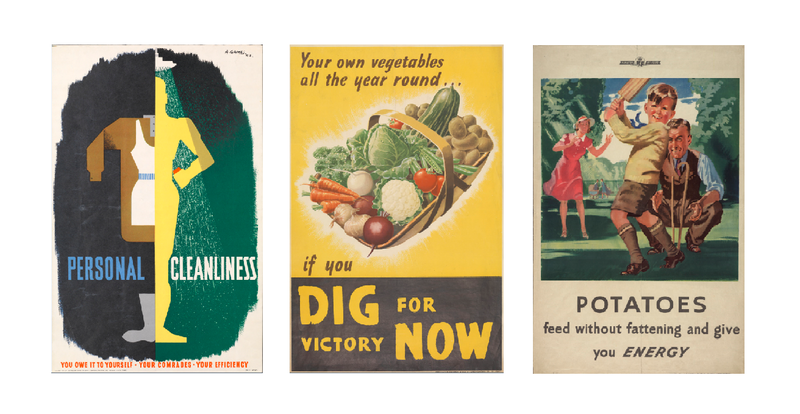 Public health marketing has of course evolved hugely over the past century and on Wednesday we celebrated 100 years of public health marketing, from the first wartime welfare campaign in 1917, through the ages post-war, the years spent in fear of AIDS and the more recent age of aspiration for better health for everyone. This historical and future perspective was curated into an exhibition, which you can find online, and is a fabulous resource for everyone, from schools to policy makers and to all concerned with protecting and improving health. Our marketing team also won the communications category at the Civil Service Awards last night for our winter campaign Stay well this Winter. The award category looked for exceptional performance by a communications team to deliver a highly effective national or international communications campaign. Congratulations to all those involved at PHE and at NHS England in the planning and execution of this innovative health campaign, now in its third year. Good communications are relevant to good mental health and London CCGs and boroughs have come together with PHE to develop a digital means for people with concerns about, for example, sleep and anxiety to get access to trustworthy information, peer support and where necessary, access to services. This programme is called Good Thinking and uses data about online habits along with digital algorithms to direct Londoners using search terms such as “can’t sleep” to tailored support and advice. This is an excellent example of direct-to-consumer support using data and digital opportunities and London is to be congratulated. And finally, last week seven local authority areas were selected to take part in a randomised controlled trial of Individual Placement and Support (IPS) for people dependent on drugs and/or alcohol in community treatment services. The trial, jointly funded by Department for Work and Pensions and the Department of Health, was one of the key recommendations made by Dame Carol Black in her 2016 report. The seven local authorities that have been selected to take forward the trial are Birmingham, Blackpool, Brighton and Hove, Derbyshire, Haringey, Sheffield and Staffordshire. The objective is to test whether this intensive approach is an effective way to support those people who are dealing with long-term addiction issues into employment and back into productive lives.